Create a Bourguignon that lifts the bar with its rich full-bodied flavour and colour. Made with a hearty splash of red wine, this demi-glace based sauce produces melt-in-your-mouth tender meat when slow cooked with beef or lamb. Serve with plenty of creamy mash and vegetables and soak up all the deliciousness. One thing that I really love to use in winter is my slow cooker, no fuss, a nice hot meal plus a little help heating up the home, so naturally I decided to give the Beef Bourguignon a try. For dinner I decided to go with some marinated tofu (as that was all that we had available for dinner), the flavour was ginger and hoisin but I have honestly found that it goes really well with everything. I added some garlic, onion, potatoes and some diced tomatoes. Throwing it all in the pot I left it for eight hours, just coming back near the end to try the potatoes. Getting this on to the plate was a mission as I kept sneaking little bites, a spoonful for the plate, a piece of tofu or potato for me, some for the plate, some for me and so on. This sauce turned out really nice and it ended up feeding three adults, one teenager and five young children, so for a sauce that says it serves four it can really stretch out and feed much more than just the four, which is a really big plus in this family. I would happily buy this again, not only a good taste but it stretches out well. Having not used any of these European Creations before I wasn&apos;t too sure how it would taste, but it turned out this was pretty tasty, better than many of those packet mixes that I&apos;ve tried before. In the past when I&apos;ve done a Bourguignon from a packet it&apos;s never recommended that you cook it for as long as this one did, and the meat has usually turned out chewy and not very nice, but with the 2-2 1/2 hours cooking time for this sauce it made all the difference and the meat was absolutely perfect, it was soft and tender and the sauce had flavoured it beautifully as well. The flavours in this were not overly powerful and the sauce had the right creamy texture to it that I would expect for a bourguignon sauce. The instructions on the packet were clear and concise, and following them couldn&apos;t have been easier. Also the option of using this in a slow cooker makes this doublely useful. Next time I want to try this in a slow cooker and see if the meat comes out any better, my guess is it will, and that means that this will become a staple slow cooker meal for our family. I have been rather skeptical of the idea of the European creations, seeing as I started off with the highly flavoured Indian, and the heated Mexican creations, I thought these European creations might come off a little bland. This meal differed to the Indian creations, as its flavour was more of a gentle flavour that you savoured. Quite a full-bodied sauce, that went beautifully together with tender meat that has been slow cooked. 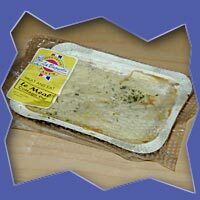 Very similar to a casserole, when you prepare it, but quickly thickens, and gets absorbed into the meat. The most difficult part of this meal was remembering how to spell Bourguignon (I still had to double check it), and the instructions that came on the packet were as straightforward as the others in the range. I was impressed to see the directions specifically mention a minimum of 2 hours to allow the meat to stew, otherwise it would come out chewy. I will admit I almost overlooked that part of it myself; if it wasn&apos;t for the fact that I had to specifically use stewing beef, I wouldn&apos;t have noticed this vital difference in directions. But the meal came out very well, with a full-bodied flavour, that all of the household was able to enjoy. A very meat-focused dish, with a sauce that serves to add to the flavour of the meat, instead of overpowering it with spices. 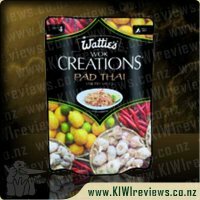 I have loved all 5 of the Watties creations sauces I have tried to date and when KIWIreviews announced they had more Watties sauces up for review I immediately applied. 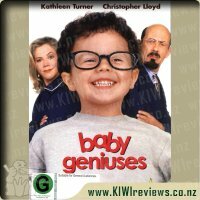 I was lucky to be sent this one to review. I have not tried Bourguignon before and did not really know what to expect. 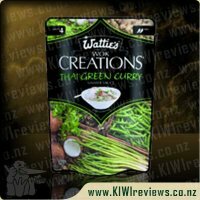 I was a bit dissapointed that the expected cooking time was around 2.5hours as with previous Watties sauces I have liked the convenience of the ease to make and how quick it can be served from packet to table. In todays society life is often hectic and very busy. 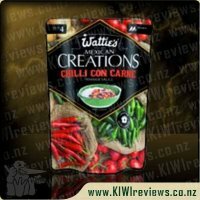 With school and jobs, after-school activities, home-work, study and general life it is oftem hard for families to put a good filling, well rounded meal on the table which is why Watties creations sauces have become a &apos;must-have&apos; on my weekly shopping grocery list. They are so easy to use, do not require a huge lot of added/extra ingredients, and the price is excellent. This sauce, like the others, only required a couple of extra ingredients (mushrooms and meat). I noticed the sauce seemed a little thin in comparison to how thick the other sauces had been. But it covered the meat well and was enough sauce. With some of the others I have had to add a little water to get a decent sauce covering. Once cooked the sauce is a very nice flavour and as a result my three children ALL ate the mushrooms in their meal. Something they never do. This very much impressed me. I would buy this sauce again but next time I would cook it in the slow cooker so we are not having to rush to cook it. 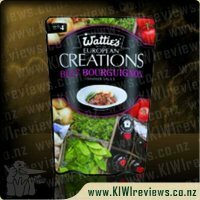 I have loved all the Wattie&apos;s creations I have tried so I was excited to give the Beef Bourguignon a try. While trying to decide what I wanted for dinner I opened the cupboard and saw it sitting there. I didn&apos;t have any beef in the freezer but I remembered seeing other reviewers post photos of sausage casseroles they had made with the flavouring so I decided to give it a whirl. Throwing it together was super simple I browned some sausages, chopped them up, threw in a pile of veges and added the sauce. 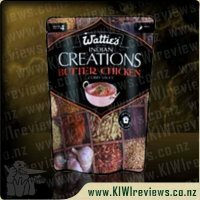 When I opened the sauce the first think I noticed was the yummy smell and the fact it was a lot runnier than the other Wattie&apos;s creations. I was a bit worried about how that would effect my casserole and hoped it would thicken up in the cooking. I put the finished dish in the oven on low and forgot it till tea time. The smells coming from the kitchen was amazing and I just couldn&apos;t wait to taste it. I was pleased to see when I got it out of the oven that the sauce had thickened up. I served it on top of creamy mashed potatoes and couldn&apos;t wait to tuck it. When I did get to taste it all I could say is that I was very underwhelmed. After the smells coming from the oven I was expecting so much more. It wasn&apos;t horrible but it wasn&apos;t anything to get excited about either. 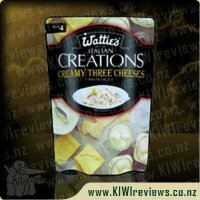 It fell very flat, trying most of the Wattie&apos;s creations range I was expecting a sauce full of rich hearty flavours. With the Beef Bourguignon there was no one flavour that jumped out at me. 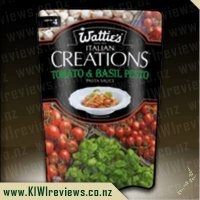 The Beef Bourguignon will not make it on to my must buy list unlike many of the other Wattie&apos;s creations which are regulars on my shopping list. With chicken out for dinner and not a sign of beef, I decided that I would give it a go to make &apos;beef bourguignon&apos; with chicken. I am not a huge fan of red wine sauces on beef as I find it a bit rich. Funnily enough, I am totally happy to drink a nice glass of red wine with a nice juicy steak. I chopped up some chicken and browned it off in the pan. I added some sliced mushrooms and the sauce to the pan. Only then did I look at the recipe on the back. I saw the cooking instructions said 2-2.5 hours. I figured that that was designed for stewing beef and therefore didn&apos;t apply to me and I carried on my merry way. I cooked the meat and sauce for about 10-15 minutes and then decided to feed the hungry masses in my house! I already knew that it would be accepted (and hopefully a hit) as I had got my children to do a taste test prior to me adding the sauce to the mix. The reaction was very positive from Mr 4 and Miss 2. The meal got devoured by everyone in the family and everyone had good things to say about it. I have got to say that I enjoyed the sauce with the chicken. The only thing that I would change is the fact that the sauce was still a bit on the runny side. This of course was my fault as I only cooked it for a short time and didn&apos;t allow time for it to reduce as it should have done with the designed slow cooking. In general, the ingredients are recognisable as real food and there is a nice high quantity of vegetables in the sauce. I also note that there is 9% of red wine in it too. Tasty! 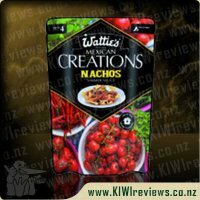 We tried this recently as we loved other Wattie&apos;s creation sauces. However we were a little disappointed by what this sauce had to offer. We followed the directions and cooked it in the oven on low for a couple of hours... we found that the sauce reduced quite a bit more than we expected (despite me adding extra water half way through cooking and reducing the oven temperature) and as a result the sauce was very strong and tasted over reduced! It left a very strong tomato flavour and not too much else. I did taste the sauce part way through cooking however and can happily say what I tasted was very nice... I really needed to serve it at that point but because I had bought beef that needed slow cooking, the rest of it was inedible. I would buy this again but I would make a couple of changes in my method of cooking next time... I would buy rump steak next time and just cook it for 30-40 minutes instead or I would try cooking it in the slow cooker on low for a few hours... just to prevent the sauce from over reducing as it did. So I would recommend this to people! Taking inspiration from another reviewer, I wanted to try a &apos;sausage and potato casserole&apos; style dish. I figured the Beef Bourg would be a great base, and proceeded to throw everything together in the slow cooker... totally forgetting that my electric slow-cooker does a great job of creating watery soup, instead of a casserole. (It&apos;s been a while since I used it.) Still, by the time I realised it wasn&apos;t going to work out as I had hoped, it was too late to abort. After 7 hours or so, the meal was ready to go - sausages cooked through, potato tender but not mushy, carrots cooked, and the smell coming out of it was amazing... and it tasted... well... alright. Not at all what I expected, or hoped for. 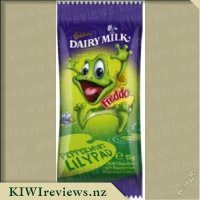 Still, it was edible and everyone, including fussy Mr5, ate a bowlful before rendering judgement. Of the four diners, the votes were 1 "yuk" from Mr Fussy, 2 "Well, it&apos;s not inedible" from Mum and Dad, and "Can I have some for lunch tomorrow?" from Me Teen. That last one shocked me more than my utter failure at slow-cooking. Still, the votes evened out to a pass, which means it&apos;s something I may look at playing with again in future. The real failure, I hasten to point out, lies not with the product - it did everything it promised it would. No, the real failure lies in the method of cooking I chose, and because of that I had to adjust my initial scoring slightly. Overall, though I find it hard to be entirely accurate here, compensating for my bad judgement in cooking method, I think the product is actually quite a good one. Even with the watery sauce, the flavour did come through and was quite acceptable in the whole. Still, I kinda hope I do a better job of the next attempt, or I may have to reassess keeping my slow-cooker. I have recently rekindled my love affair with mushrooms but no one else in my household is very keen on the so the Wattie&apos;s European Creations: Beef Bourguignon simmer sauce was one that I could have all to myself. It is the wrong time of year to savour a casserole but that didn&apos;t stop me. I went off to the supermarket to purchase the additional ingredients I needed (mushrooms and steak) but forgot to record how much of each I needed. 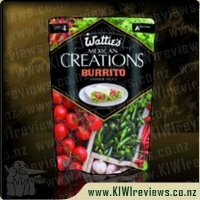 Thankfully there was a stand of Wattie&apos;s creations in the fruit and veg department so I was able to check. I used these quantities as rough guides and got more mushrooms and less steak than suggested. There are two options for making beef bourguignon given on the packet. There is the slower and more economical method using stewing beef which takes 2 1/2 hours and can be done in a crockpot. I opted for the faster method using sirlion steak and a frying pan which is only 30 minutes. The moment I opened the sachet the aroma of red wine filled the room. I don&apos;t drink wine but I loved the smell. The sauce was quite red when it first went into the pan but as it simmered it turned brown as it mixed with the juices from the beef and mushrooms. As it was just me eating it I ate a serving that night which was delicious. I couldn&apos;t identify any one flavour, it was simply a fantastic blend of them all. I reheated another serving in the microwave today and discovered that like most great casseroles it tastes even better the next day. I did find on both occasions the sauce was quite runny but the mashed potatoes or bread was great at soaking it up. The packet suggests that you could heat the sauce and use it as a gravy over meat. 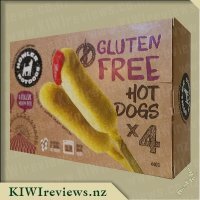 This would be great to try but I am unsure whether the packet would be safe to use in a microwave as it appears to contain foil. Another thing that I was tempted to do with it was to make up as suggested and put it into a pie but I could do without the pastry on my waistline. I love this sauce now to convince my family that mushrooms are delicious and I can enjoy it more often. I really like the vibrant green on the cover of this packet and how tidy it all looks. 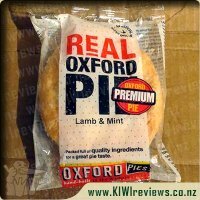 I really do like how easily the packet opens, makes dinner time that little bit easier. This is a lovely brown colour and when I first poured it in it seemed a bit watery but I wasn&apos;t too concerned, was happy to wait to see how it would turn out. I decided to make a sausage and potato casserole with this sauce, not the norm but we don&apos;t typically use sauces for the dish suggested. I also threw in some garlic and herbs, fresh garlic and some onion and threw it all in the crockpot. At first there wasn&apos;t much of an aroma coming from the kitchen, but when I went to check on it four hours later to give the potato a test, the aroma filled the house and had my husband outside commenting on how good it smelled. Trying the potato I nearly burned myself as I threw the whole piece in my mouth cause it was just so yum! The sauce went perfectly with everything and had given it all a rather nice glaze, was perfect. We&apos;re having leftovers for dinner tonight and I just can&apos;t wait. This was enough sauce for enough ingredients to feed my three kids, my husband and I for one meal each and then enough leftovers for three adults. My only gripe about this is that there is actual beef stock in it, which means I can&apos;t use it for cooking for my vegetarian mother, other than that I will buy it again. 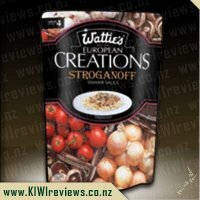 I was lucky enough to be offered some of this to review, and was excited to try it - although I&apos;m not sure what a classic Bourguignon tastes like, it sounded pretty good! As a working parent, I decided that the slow cooker option sounded perfect, and although it does recommend a cooking time of 5 to 6 hours I needed to cook it a little longer to work around my day. I&apos;m used to this though, and it didn&apos;t seem to matter. 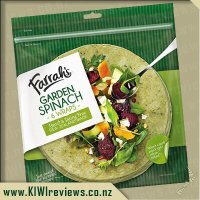 The difference between this and other quick meals I make, is that the whole sauce (pretty much everything) comes in the packet, so you are not adding any additional liquid. I didn&apos;t really think about this being an issue... until it came time to serve my stew and I noticed it was very runny. Maybe because I usually adjust liquids by at least half when using the slow cooker. However although I didn&apos;t think there was too much liquid, I didn&apos;t like the consistency. I wished I&apos;d noticed it earlier, however we delayed dinner slightly while I quickly thickened it with cornflour. I&apos;m not sure you would have this problem if you tried the stove top or oven method. It came time to eat it and it passed the taste test with hubby and my 5 year old. 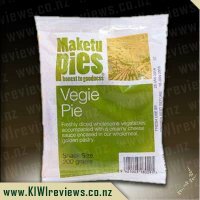 We followed the serving suggestion and had it with mashed spuds and veges. The meat really did melt in our mouths like it said, but that would be due to the slow cooking. 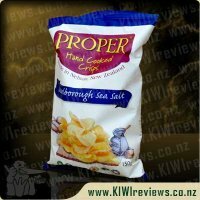 Both my husband and I thought it lacked salt though - I definitely should have added more in for our tastes. 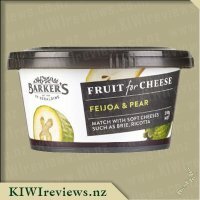 Although we liked the meal, we didn&apos;t love it and to be honest I wouldn&apos;t buy this one again, although there may be more appealing ones in the range I&apos;d try. Even if we didn&apos;t use the slow cooker method, it did recommend long cooking times (although a quick cook option was given) so it&apos;s not really a last minute kind of meal... even though the fact that it all comes in a packet, does give it the illusion of being a quick cook dinner. I was so excited to try this sauce and had planned it out since shopping day to cook it in the slow cooker along with the fresh vegetables I had brought. When it came time for cooking I simply cut up the meat and vegetables, chucked them all together in the slow cooker with the sauce and left it to do its magic. I couldn&apos;t help but have a look every hour or so as it just smelt so good!! I was very much looking forward to my husband coming home from work and presenting this yummy smelling dinner all ready in the slow cooker for him to help himself. Dinner times with a new-born have been pretty crazy at times so having our meal ready to go is a real bonus and something I have been trying to do a lot more of. Adding to this, is that this was so simple to prepare and therefore something I know I will be able to use in the future and be able to quickly prepare it either before or after work when time is limited. I still had the Wattie&apos;s Beef Bourguignon packet out as I had planned to take a photo of this with the finished product. Lucky I did because as I was serving our dinner up ready to eat my husband picked up the packet and was reading the back when he turned to me and quickly told me "don&apos;t eat it, it has red wine in it" ... WHOOPS! I have anaphylactic reactions to wine, whether it is cooked or not makes no difference. I was so entirely gutted that I couldn&apos;t eat this beautiful meal that smelt so good and I was so excited about. 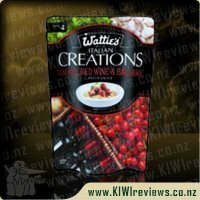 This is nothing to do with Wattie&apos;s marketing or not labelling their product as in the description on the back of the pouch it clearly describes the red wine in the mix. This was simply me being dumb and blind - and not thinking at all about wine being in a casserole! Entirely my fault and has nothing to do with this review aside from the fact it meant that I couldn&apos;t eat the end product - instead I will convey what my husband and mum (who ate the leftovers the next day) thought of the cooked meal. Both my mum and husband really liked this meal and both said they would definitely eat it again. 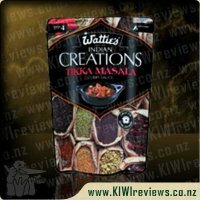 My husband liked the richness of the flavouring and thought it was something different that we didn&apos;t normally have. 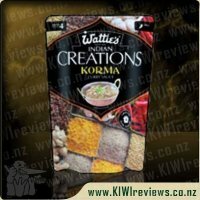 My mum said that she preferred her own cooking and adding her own sauces and spices to casseroles, however she appreciated how easy this sounded and thought that it still tasted great considering I had added nothing else to the packet mix. Both of their plates were empty afterwards so it must have been good because they didn&apos;t leave any behind that&apos;s for sure! So all in all that&apos;s two "yes we would definitely eat this again it tasted really yummy" and one "yes I would cook this again it was so easy, I only wish I could eat it!" Yes totally recommend this to others! 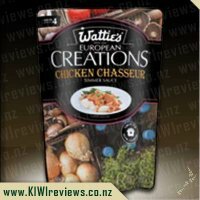 I was very excited to try this Wattie&apos;s European Creation for dinner tonight. There is something romantic and elegant sounding about a Bourguignon. Sure casserole tends to be very rustic and country style, but the name just gives it some class. 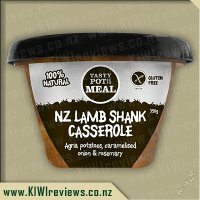 I love a casserole but my family are not always sold on slow cooked meats and vegetables. When I got everything out to cook tonight, I suddenly realised that this sauce really did mean business. 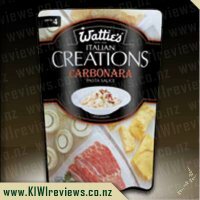 This is ideal for slow cookers and the instructions range from 2 and a half hours cooking time to over 5 hours. I was suddenly worried, since it was 6pm! Luckily the packet had some chef tips on it, and one of them was how to cook this quickly. Phew! That saved me. Into a pot I added some butter and browned some diced beef. I added some vegetables and heated them through. Then I added the sauce, and simmered it together for about 30 minutes. I cut up some peeled potatoes, and boiled these. Then I mashed them with Sid&apos;s Crazy salt, butter and grated Edam cheese. My kids ate the potato happily. I did have to ask them to try the meat, but once they did they ate quite a bit more. I was surprised as they usually don&apos;t like a sauce on their meat and vegetables like this. I found the flavour to be nice, but I felt like it wasn&apos;t salty enough. I suspect that it was just because my childhood memories are of quite salty casseroles. So the sauce itself was probably fine, plus I could have seasoned it further if I had wanted to. My husband ate the lot and was happy with the taste. For a snack later I had some toast and just spooned some of the sauce onto my toast. That was delicious as well. Specially selected for a mild, sweet flavour, deep smokiness and vibrant colour, Smoked Paprika is essential in Mexican and Spanish cuisine, and perfect as a garnish on eggs and appetisers. Gentry fry in oil on low heat to extract the whole fruity aroma, this adds a rich smokey flavour. 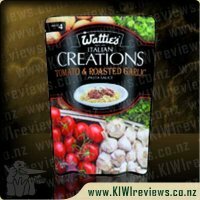 An excellent complement to tomato based & white meat dishes. Add midway through cooking for best results.